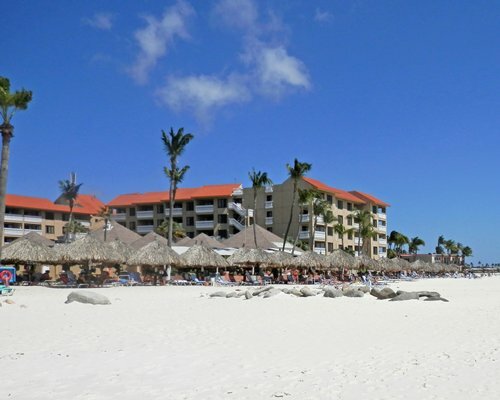 Located on the most pristine beach in Aruba, Casa del Mar offers couples and families unforgettable memories. 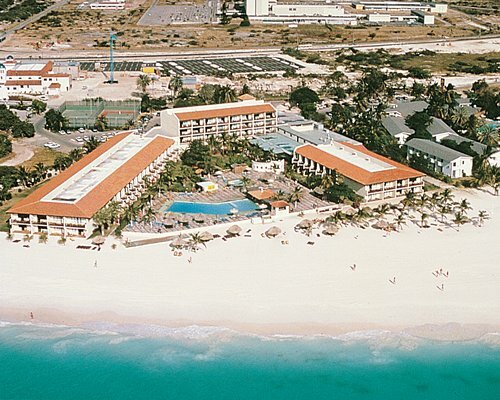 Relax on the beach and enjoy unforgettable sunsets and cooling trade winds or partake in the many resort activities. Play tennis, work out in the gym or enjoy pool aerobics or seated yoga with our instructors. 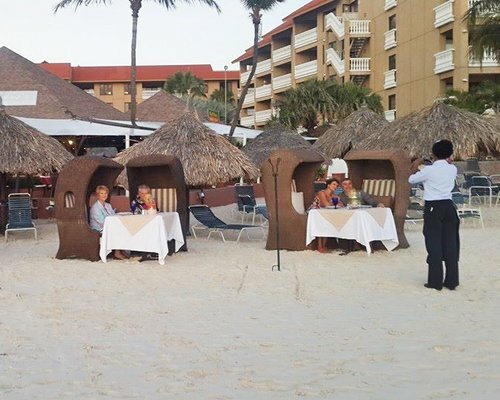 Arrange watersports, golf, scuba, snorkeling, windsurfing or island tours through our Activities Desk. Play a game of bingo or relax with a book or game from our library. 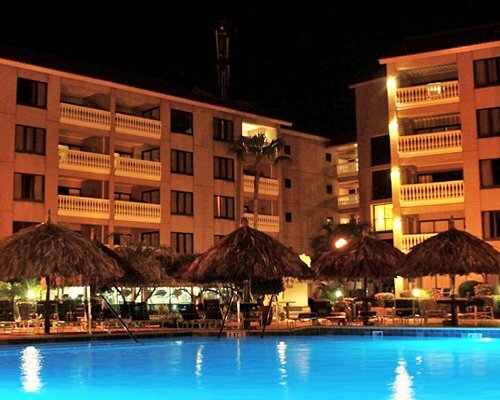 We have two large swimming pools, poolside Jacuzzi’s and BBQ’s for your use. Our staffed Activities Center with kiddie pool, playground, shuffleboard and giant chess or checkers sets will keep the youngsters occupied. 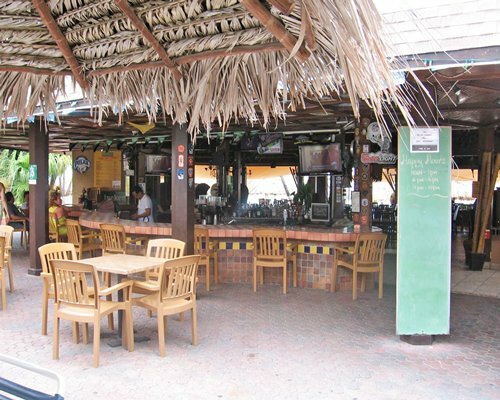 The pool bar offers cocktails throughout the day and 3 daily Happy Hours. 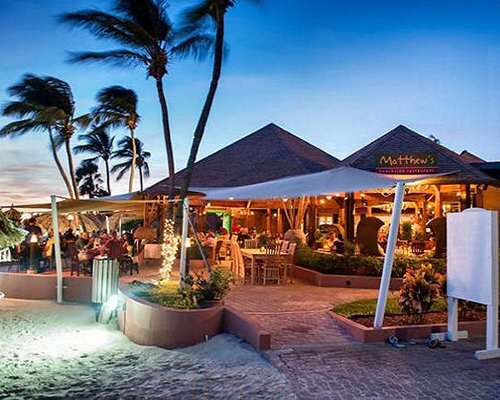 Enjoy fine dining at Matthew's Beachside Restaurant or enjoy your own BBQ with friends. 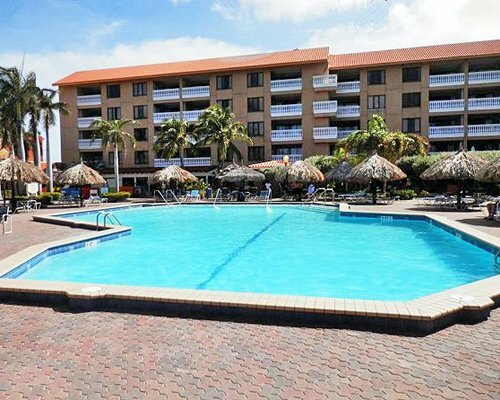 Directly across the street is the exciting nightlife of the Alhambra Casino and Shopping Plaza with dining and shopping options. 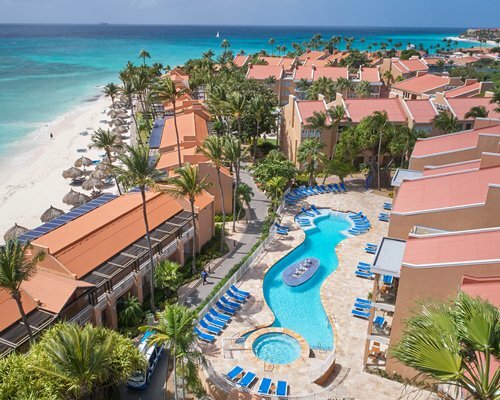 Casa del Mar Beach Resort, located on one of the finest beaches in Aruba, offers deluxe and comfortable vacations in air-conditioned two-bedroom suites [sleep up to 6]and one-bedroom suites [sleep up to 4]. 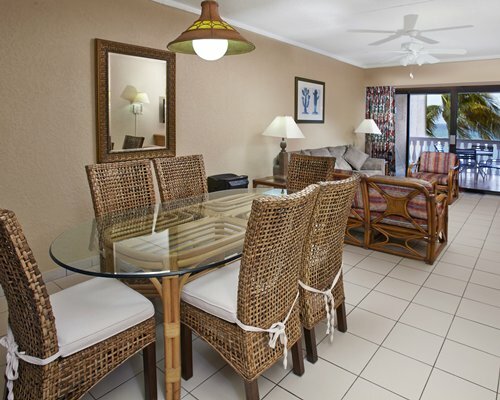 The 1 bedroom units are poolside and a short walk to the beach. 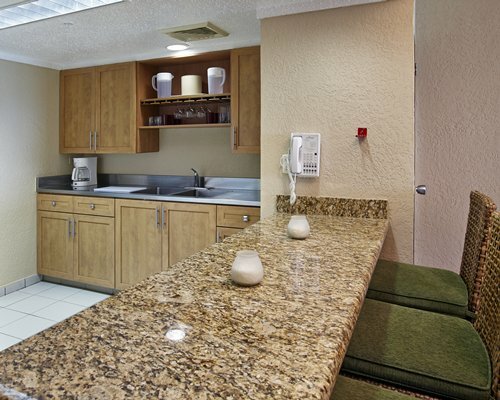 All suites feature a fully-equipped kitchen with full size refrigerator, stove, and appliances, and a balcony or patio. 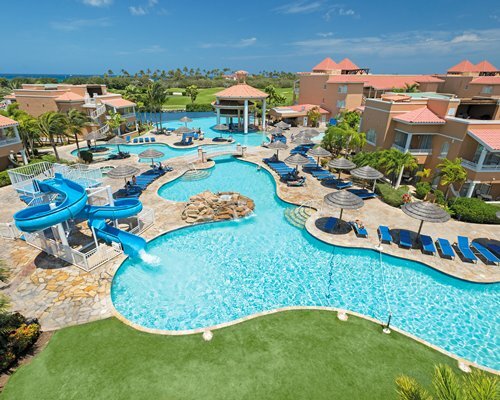 Just steps away from the pool and other resort activities, guests will also enjoy using the barbecue grills to try out new recipes or enjoy old favorites. 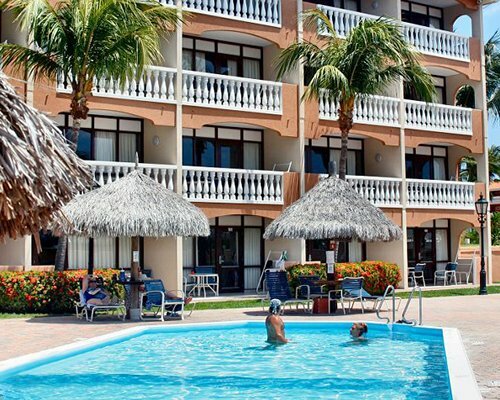 Whether you choose to spend most of your time at the resort or exploring the island, this property welcomes you with comfort and convenience. Exit left out of Queen Beatrix Airport. Follow 1A through traffic circle exiting the 3rd right through downtown Oranjestad. Turn left at the stoplight by Ing Fatum building onto J E Irausquin Blvd. Continue to the resort on the left. 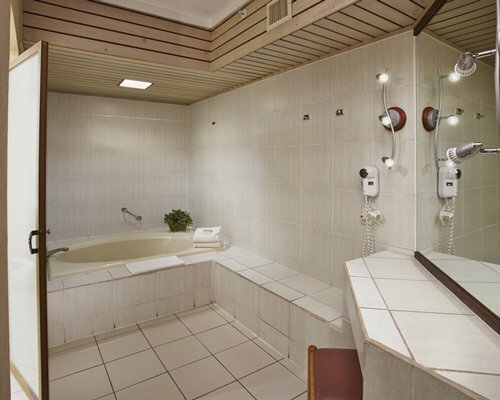 Guests may check in at the front desk after 4 pm. Check-out is at 11 am. 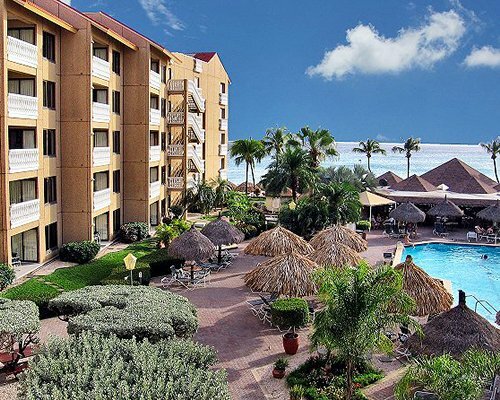 One bedroom units at this resort are not ocean side. Inbounds confirming into one bedroom units will not be able to see the ocean. 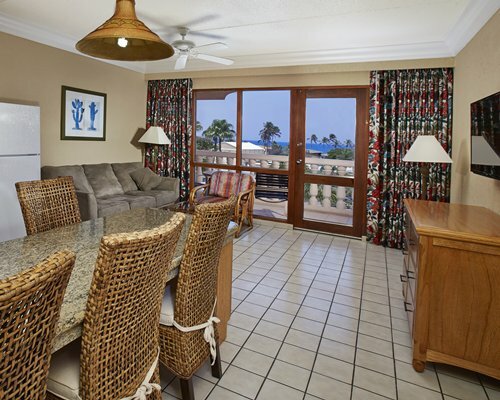 One bedroom units are located in our 40-unit Ambassador building; a short distance from the main resort and beach. 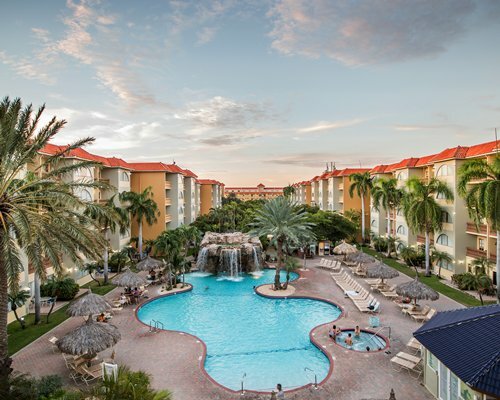 On-site construction or remodeling may disturb guests from August 24, 2018 to June 1, 2019. 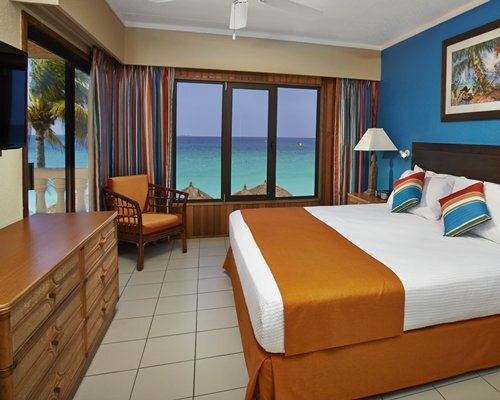 We will be renovating the exterior of our Presidential building, 2 bedroom suites only.